While anyone can be a victim of fraud, elderly individuals are especially at risk of falling victim to these scams. Many scammers take advantage of senior citizens because they view them as helpless and can easily trick them into financial scams. Senior citizens also have a lifetime of savings built up that attracts the attention of financial scammers. Because of this, millions of senior citizens end up as victims of such scams each year. Knowing this, it is important for elders and their families to know how to protect themselves from fraudulent activity. There are several actions you can take to ensure that your elderly loved ones do not end up as victims of these scams. Use the following information as guide to learn how to get fraud protection for the seniors in your life. Keep your loved ones safe by following these fraud prevention tips. According to the National Council on Aging, more than 90 percent of elder abuse, which includes financial exploitation, is done by a senior’s family. This includes an elderly individual’s adult children, grandchildren, and others. As such, seniors must be careful with trusting relatives with their money. Not having complete control of one’s money opens the door for financial exploitation. Common methods for financial exploitation include joint account depletion and outright theft. Even if elderly individuals don’t have a high income, they are still at risk of financial abuse. Family members are already familiar with the financial situation of their elderly relatives and have access to their information, making them easy targets. Generally speaking, solicitors are people that deserve suspicion. If you find that a solicitor is from an unknown company or a company that seems suspicious, do not give them any money — even if it’s just a donation. As a general rule, you should especially never give money if you need to provide your credit card information on any forms. Furthermore, know who you are giving your money to. Be informed and see what you can find out about the company to see if it’s reputable before giving them any money or personal information. An exception to the rule can be Girl Scouts and students doing school fundraisers. Otherwise, it’s in your best interest to decline any offers. This includes anyone trying to sell you a product that they claim will be covered by Medicare. In fact, misusing Medicare funds is one of the biggest scams concerning elderly individuals. If you do make a purchase, always get the contact and company information of the seller. If you’re contacted by a solicitor via phone, don’t give out your personal information to them. In fact, you should avoid giving out personal information to anyone over the phone unless you initiated the call yourself. As a rule of thumb, you should shred any documents and receipts that have your credit card number, bank account number, Medicare number, and other similar numbers. By doing this, you can prevent someone from using these numbers to access your accounts and money. In addition, you should still monitor your bank account, credit card, and Medicare activity to make sure there’s no suspicious activity going on. A trusted family member can help their senior relatives monitor their accounts and ensure that they do not make any bad purchases. If seniors enroll in direct deposit for the income and benefits they receive, the money will directly go into their account. This will limit financial risks and prevent anyone from stealing their checks. Direct deposit payments are also easy to monitor, especially if they occur at regular intervals. Seniors should be signed up for identity theft protection, which oversees personal and financial information in public records, on the web’s black market, and elsewhere. No matter how well you monitor the accounts of your elderly relatives, you cannot ensure complete protection from identity theft. Identity theft often occurs well before victims notice that their identity has been stolen. Working with a professional for identity theft protection will ensure that identity theft is caught right away. These professionals will also take steps to correct the issue if your loved one’s identity is stolen. By following the aforementioned tips, you can protect yourself or an elderly loved one from being a victim of financial exploitation. While it is probably best for the family members of senior citizens to help protect them from financial scams, it is beneficial to hire home care professionals to ensure they are properly cared for in their homes. Contact Assisting Hands Serving Miami Beach at (305) 425-1835 for professional home care services. Our professional caregivers at Assisting Hands Serving Miami Beach can provide effective elderly care services for your senior loved ones who have chosen to age in place. Our caregivers can provide whatever assistance is needed from personal assistance to help with household activities like housekeeping and meal preparation. 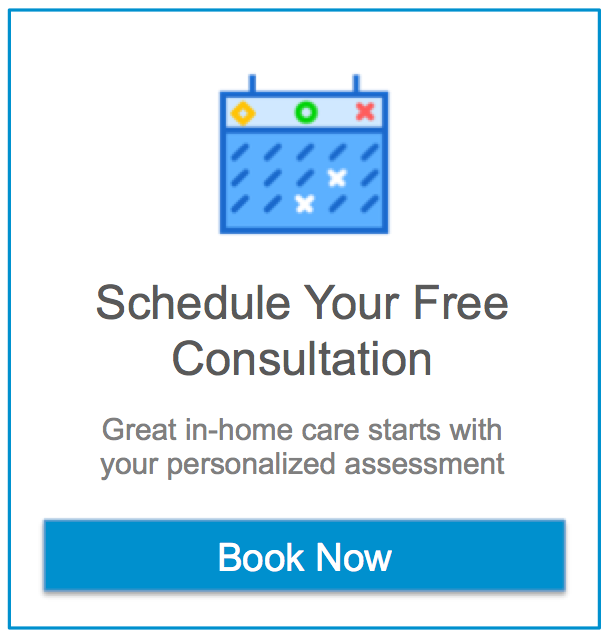 For more information about our home care services in the Miami Beach, FL area, contact us at (305) 425-1835 to schedule a free consultation.